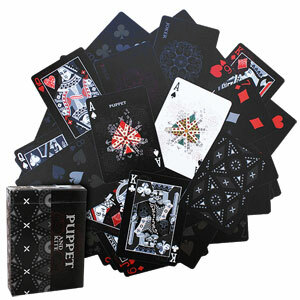 This Puppet and Kite playing cards was designed by Eric Duan and Honey Zhang and printed by US Playing Card Co. 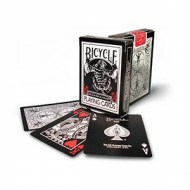 They come from the same designer as Bicycle Pirate, Rosefinch and Black Warrior decks. 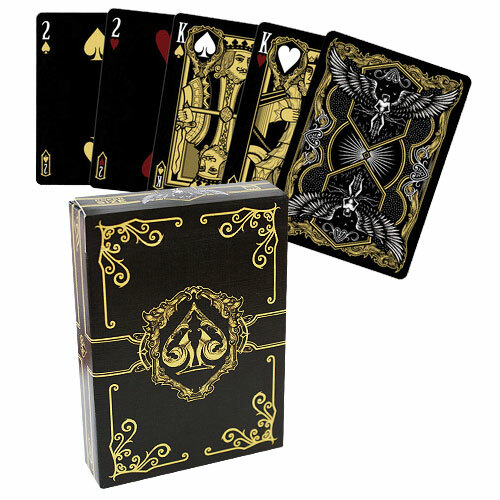 The deck features custom courts, ace of spades and jokers. 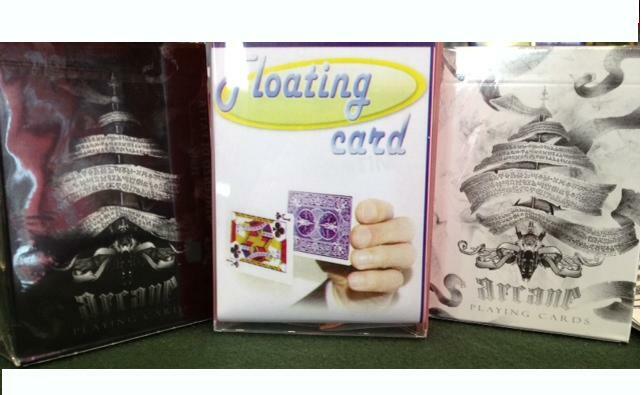 Placement and coloring of pips also varies from the traditional design. 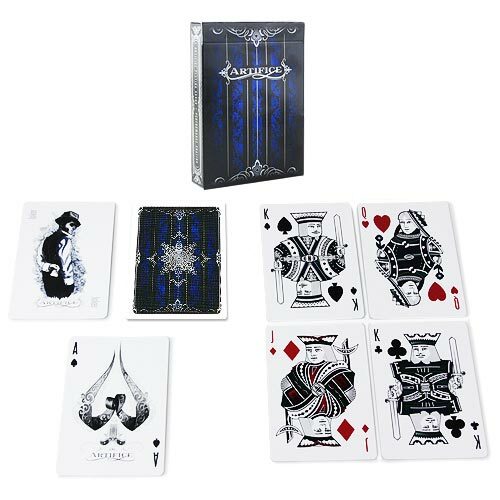 The cards have black backgrounds, the reverse of traditional cards. 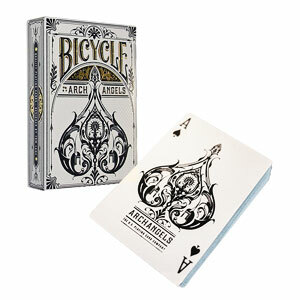 A must for card magicians and collectors. 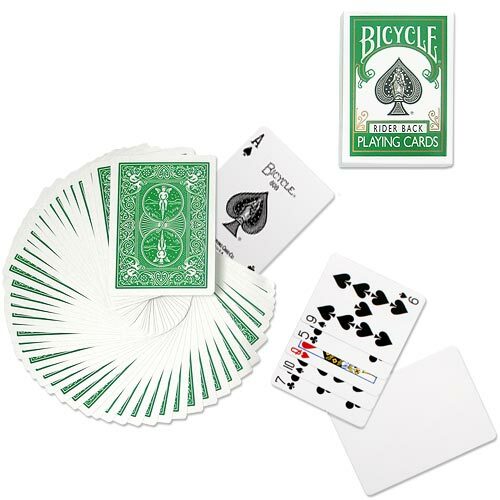 The deck contains 52 cards, two jokers and one additional ace of spades (with a traditional white background). Αυτό το προϊόν προστέθηκε στον κατάλογό μας την Thursday 14 February, 2013.